Good morning! I hope you're having a great day so far! 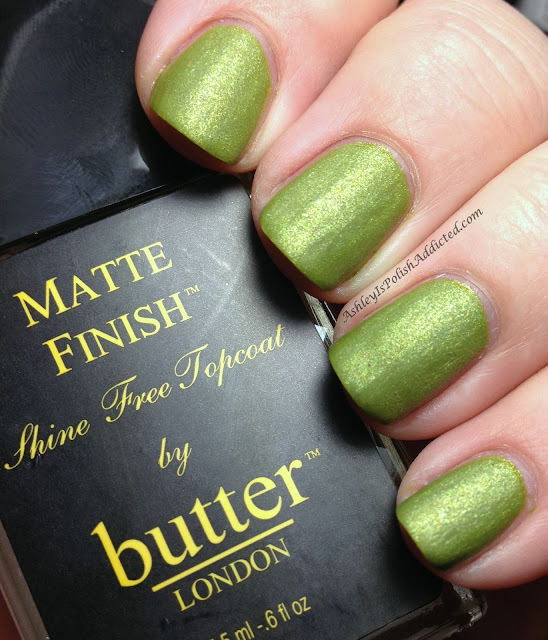 I am so excited to show you guys this topcoat today because it is the holy grail of matte topcoats! I have tried several different matte topcoats and none of them come close to being this awesome! 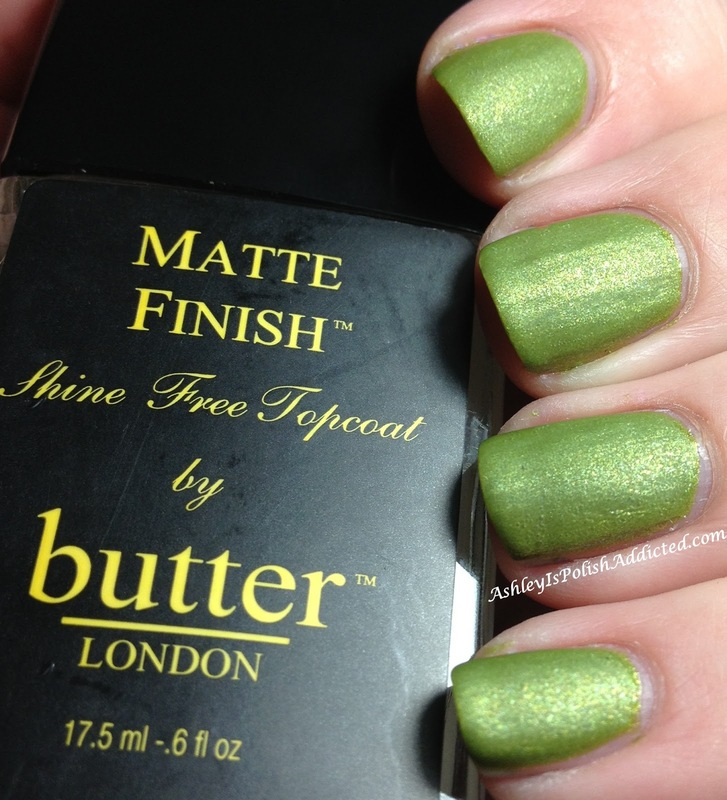 butter LONDON Matte Finish Topcoat has a perfect formula and creates a true matte finish in just one easy coat. There's really not much more to say other than I will never need to try a different matte topcoat. I have used it below over butter LONDON Dosh. I have a photo of Dosh with regular (shiny) topcoat so you can see the finish before adding the Matte Finish Topcoat. I can't wait to put this over everything! butter LONDON is available for purchase at butterlondon.com and at various online retailers and department stores such as Ulta, Dilliard's and Macy's.The Matte Finish Topcoat retails for $19 and is larger than typical polish bottles at 0.6 ounces. 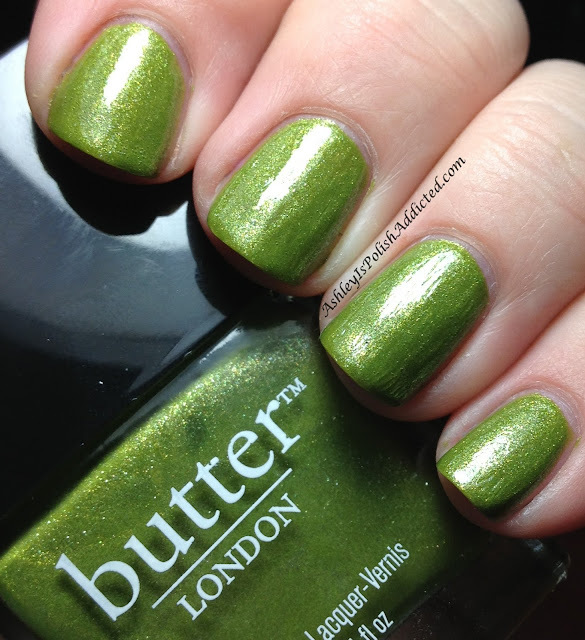 butter LONDON is 3-Free and Cruelty Free! I might have to try this. I have been looking all over for a good matte top coat as well because mine from Essie leaves white lines on my nails. Thanks for sharing!